A Tokoriki must-do is to experience the wonder of scuba diving. Tokoriki Diving is a PADI 5 Star Dive Centre, so you can rest assured that you'll get well proven, safe, and comprehensive tuition by experienced PADI Instructors. 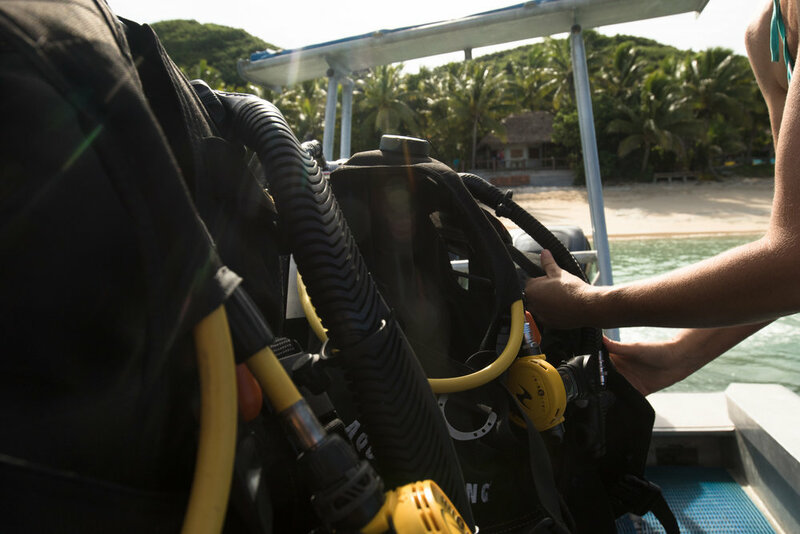 Our dive group size is small, ensuring you receive the personal attention you need. After a short briefing, pop in the pool to get comfortable with breathing underwater, before heading out for your first ever dive. With your PADI Instructor by your side take in the beauty of the reef. 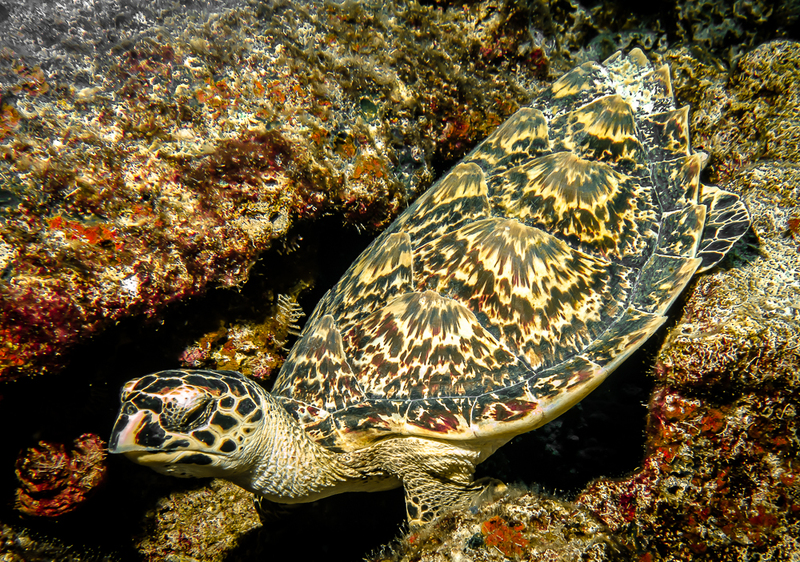 Green Turtles as well as impressively sized Giant Clams are popular sightings. Every day starting at 1.30 pm. The experience takes approximately 2.5 hours. Briefing and Pool only: F$50 per person. Briefing, Pool and Dive: F$325 per person. First time divers must be fit to dive according to the PADI Medical. Should you have to answer "yes" to anything on the form you will need to get medical approval to dive. Please allow at least 12 hours after diving before flying. Should you plan to do more than one dive then you should allow at least 18 hours after diving before flying.